Every birder dreams of fallout. 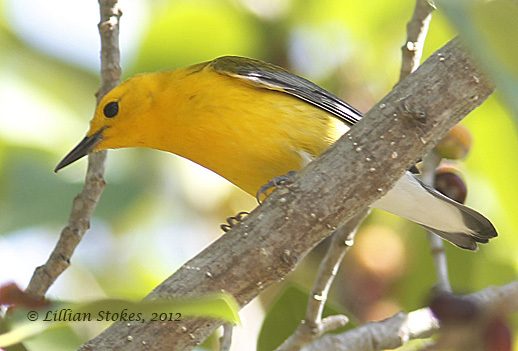 Today dreams came true at Sanibel Lighthouse park where neotropical migrant birds were pouring in, in historic numbers. A big weather front came through the Gulf of Mexico, migrants came behind it, then got slammed with the strong NW winds which grounded them. The fallout went on all day and will likely continue tomorrow as there are still strong winds. Here are some of the photos I took, giving a small taste of the amazing and colorful parade of birds. You could see many species just in one tree. 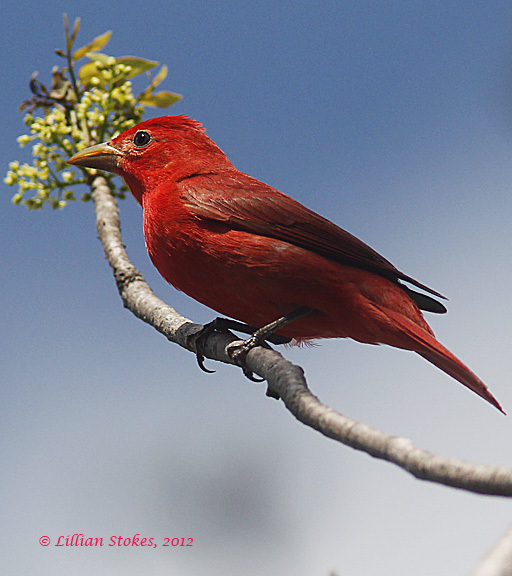 Summer Tanagers, like this male, were everywhere. 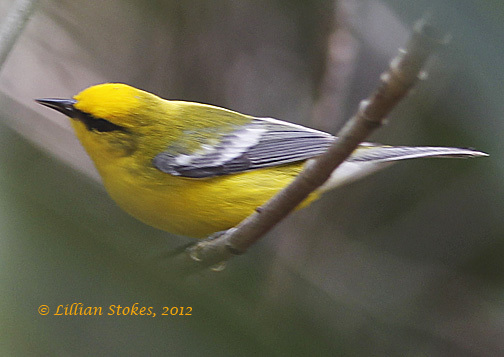 14 warbler species, including this Magnolia Warbler zipped around. 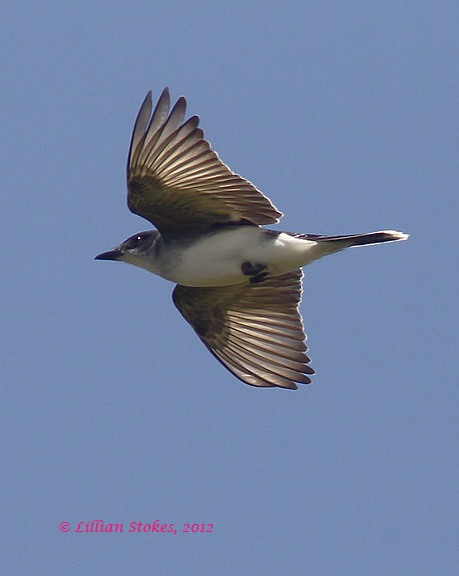 Many Eastern Kingbirds flew in. 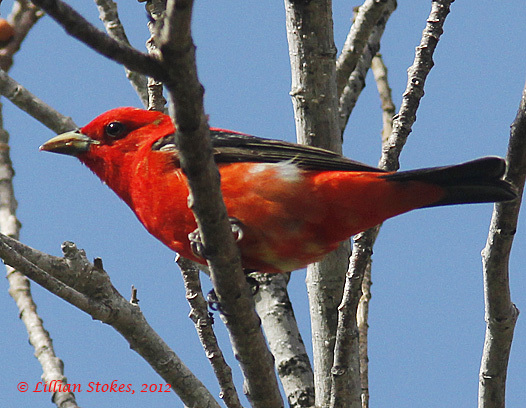 Scarlet Tanagers flocked in the trees. 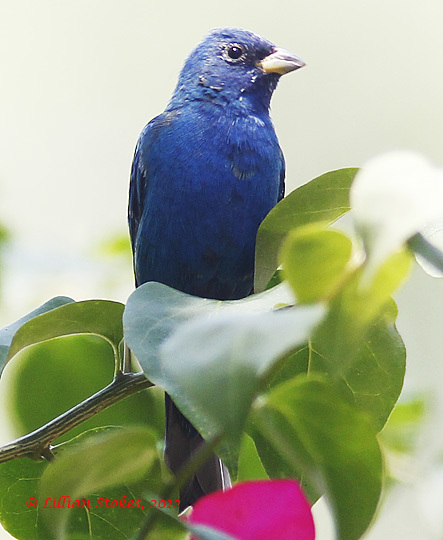 The most abundant species was Indigo Bunting. There must have been hundreds of them. Everywhere you looked there were spots of blue. 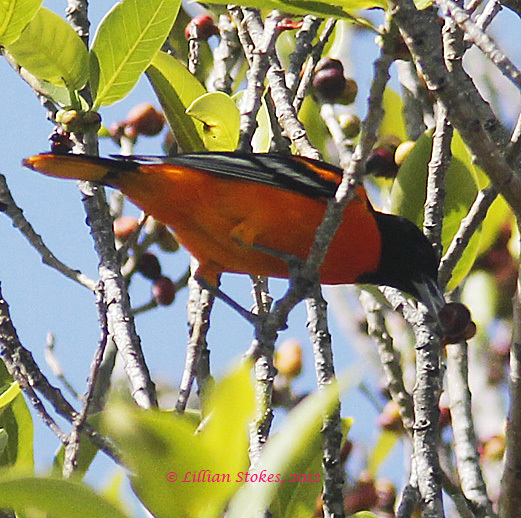 Baltimore Orioles ate the fruits of the fig trees, as did many migrants. 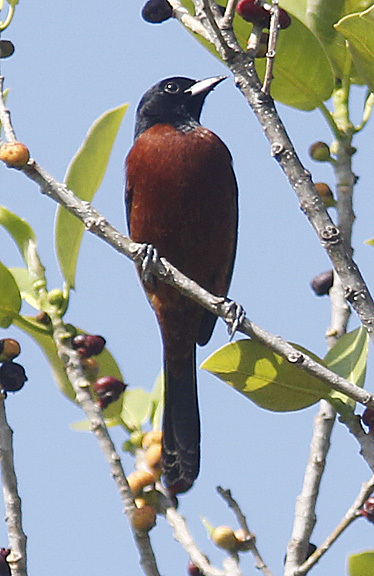 Orchard Orioles filled the trees with the Baltimores. Rose-breasted Grosbeaks came in numbers. 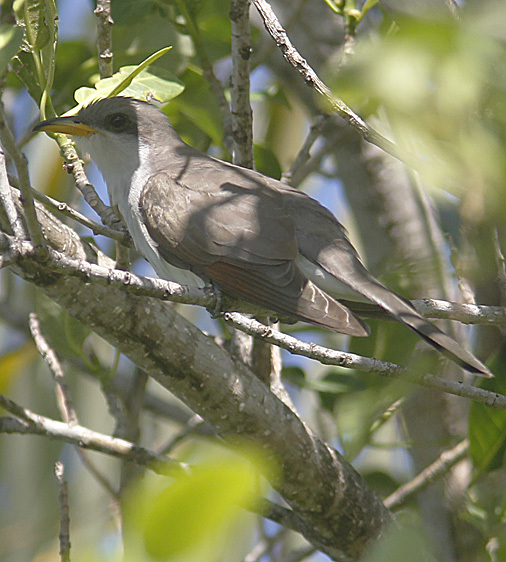 This secretive Yellow-billed Cuckoo hid in a tree, delighting the many birders who were there. 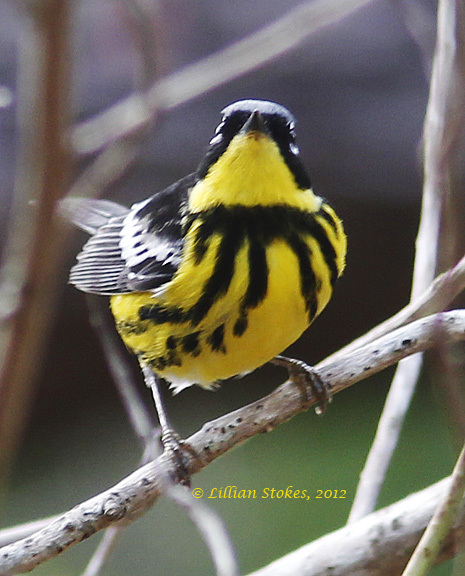 Tennessee Warblers were in multiples. 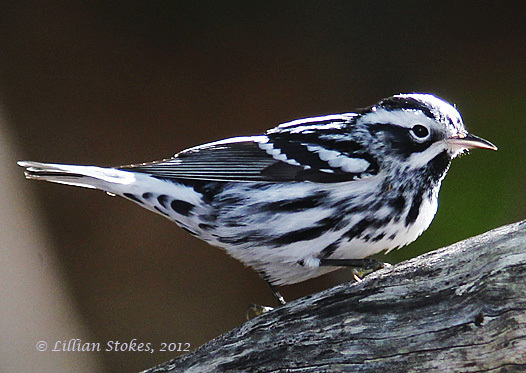 This Black-and-white Warbler worked over a tree trunk. 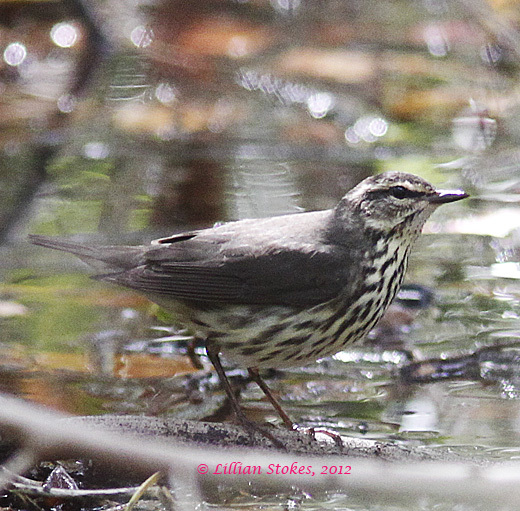 HIdden in the underbrush, a Northern Waterthrush hung out by one of the water pools made by the rains. Multiple Dickcissels were seen. We had Warblers, Kingbirds, Vireos, Tanagers, Orioles, Buntings, Grosbeaks, Thrushes, including Gray-cheeked and Wood Thrushes and a Veery. It was an amazing, amazing day, and it's still going on. Word has it that much of the west coast of Florida experienced this fallout today. Get out tomorrow. 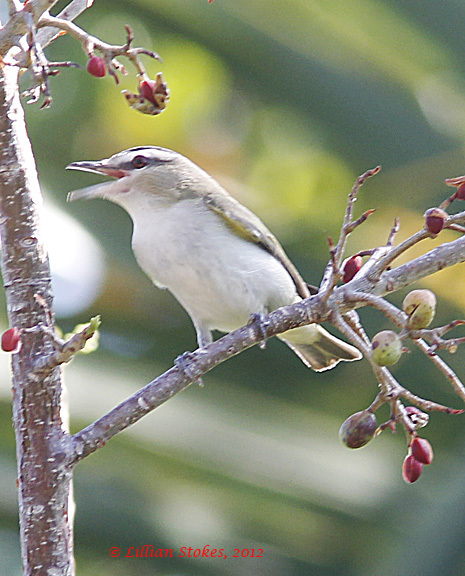 Last evening this Worm-eating Warbler showed up in our Sanibel yard, cool! 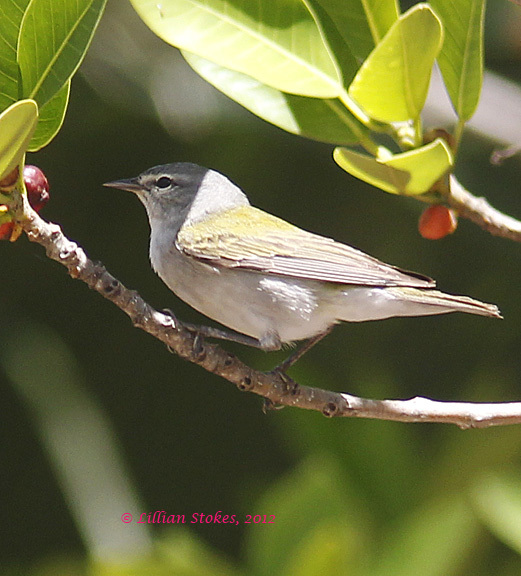 This is a less common migrant warbler here, so we are always excited to see one. 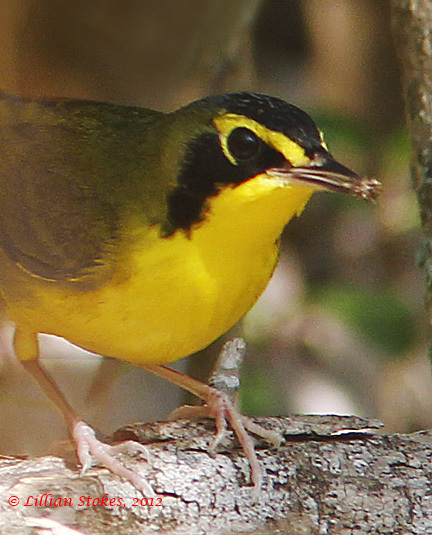 This warbler breeds on wooded hillsides and ravines in the lower part of the East. It is known for foraging in dead leaves, and as we watched it in our yard, it worked its way through leafy tangles then went to our banana plants and foraged on the dead lower leaves, classic!!! We also had a steady stream of migrant warblers moving through our yard at the end of the day including, 12 Prairie Warblers. 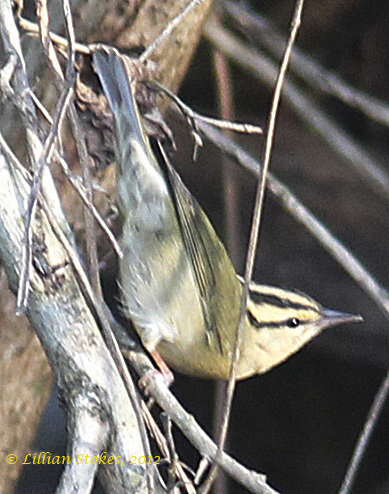 a Black-and-white Warbler, 4 Palm Warblers and a Common Yellowthroat. Baby owls are just amazing. 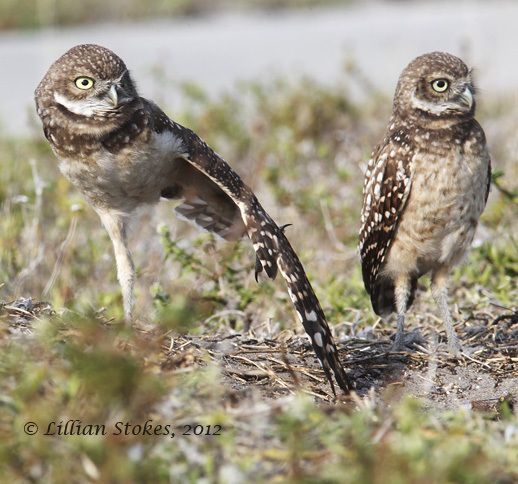 We recently got to see both Great Horned Owl and Burrowing Owl young. In both cases, the young were getting old enough to leave their nests soon. 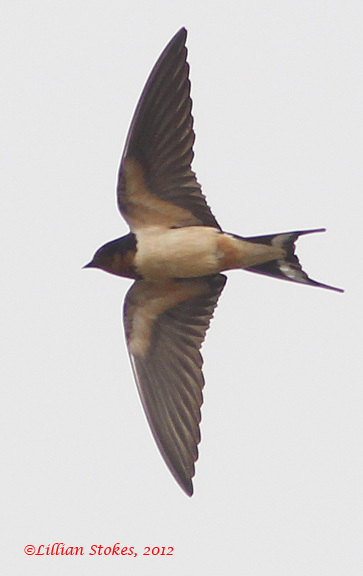 You can see them literally stretching their wings. 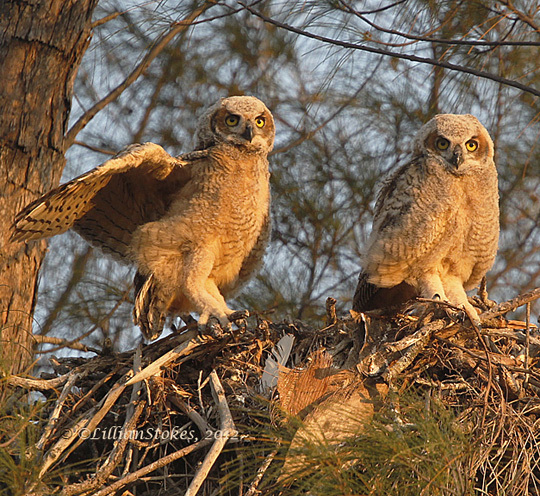 Great Horned Owls live in trees and do not build a nest, but use the old nest made by another bird. In this case, the nest was made by an Osprey. Burrowing Owls dig a nest burrow in the ground. We just loved watching the antics of these young owls. 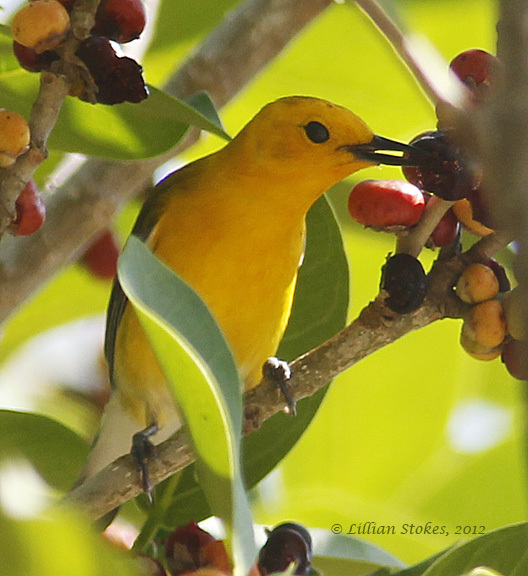 This lovely Prothonotary Warbler came in to the Sanibel lighthouse on migration recently, and first stop was the Strangler Fig tree fruits to refuel. Gotta love that buttery yellow plumage. We just stood and enjoyed watching it feast. By the way, it's pronounced "pro tho no tary" (not "tory"). 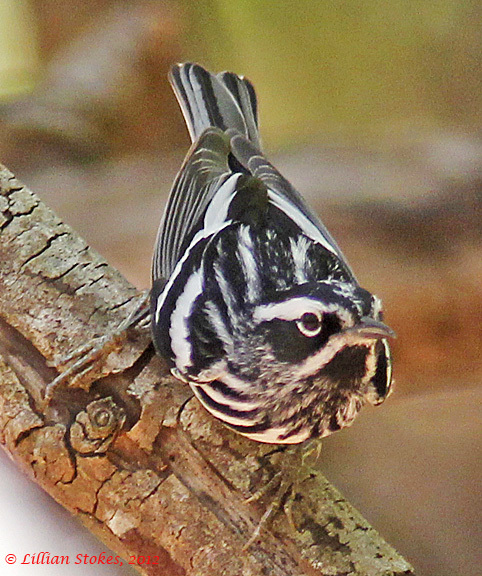 These striking warblers nest in wooded swamps and actually nest in cavities. I remember canoeing with Don once in the Pine Barrens of NJ, seeing many Prothonotary Warblers along the route, glowing like flames against the dark wooded edges of the stream. 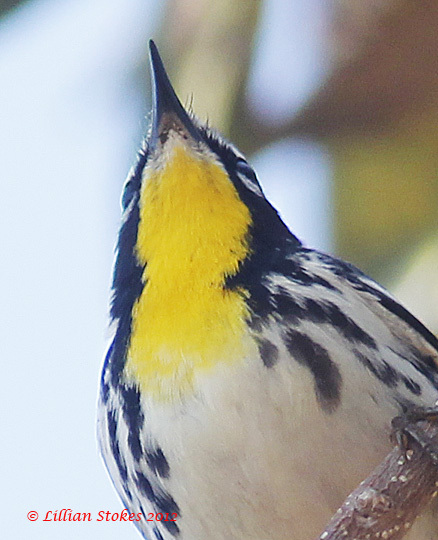 Kentucky Warbler, Hooded Warbler, Yellow-throated Warbler, oh my! 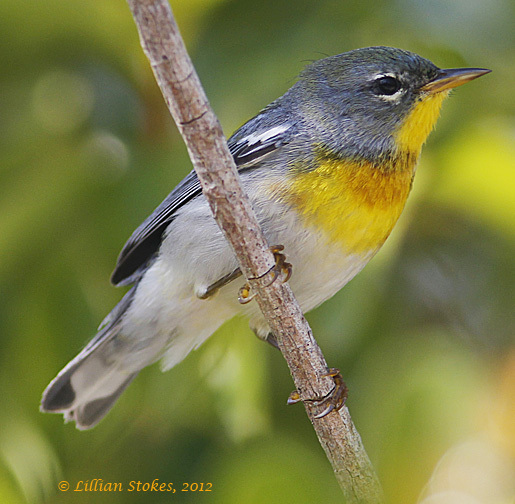 Life is good when you see the more southern breeding warblers coming into the Sanibel lighthouse on their migration. This morning we saw this Kentucky Warbler, male. Now that's a bird we don't see in New Hampshire where we're from. in the underbrush, so your'e lucky to get a good look, let alone photograph one in the dense vegetation at this location. What a cool bird! 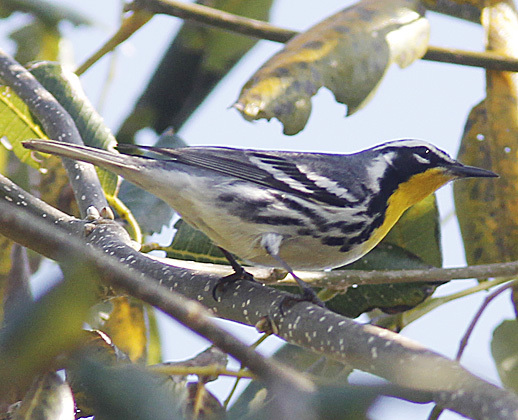 This Yellow-throated Warbler had just crossed the Gulf of Mexico and landed in a tree next to us. There are two subspecies of Yellow-throated warbler and here is how to tell them apart. dominica breeds from s.e. 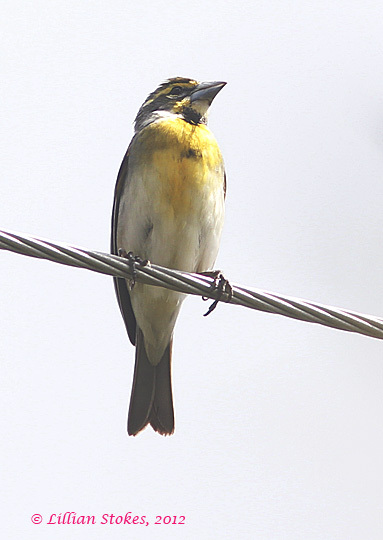 New Jersey to s. Florida; it has a yellow supraloral dash (just above the eyeline) and usually a yellow chin and throat (although the uppermost part of the chin may be white. 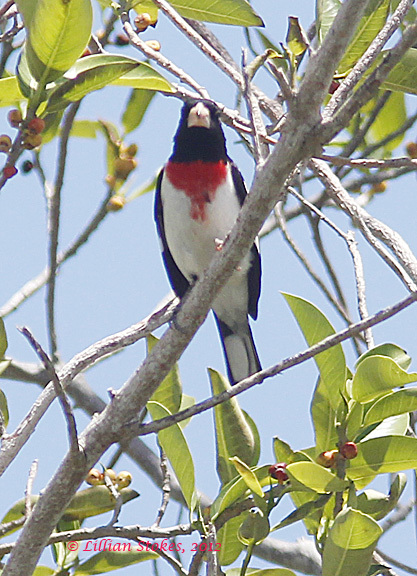 The species pictured here is subspecies albilora; it is white above the lores and has a white chin and the white can extend slightly down the sides of the throat, as seen here. 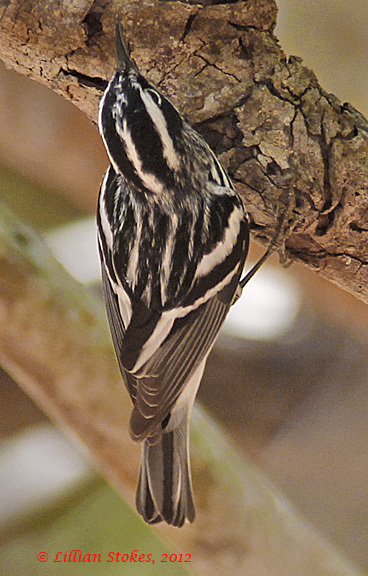 This subspecies breeds in the rest of the Yellow-throated Warbler range. Here's a close up view of white under and on the sides of the chin. 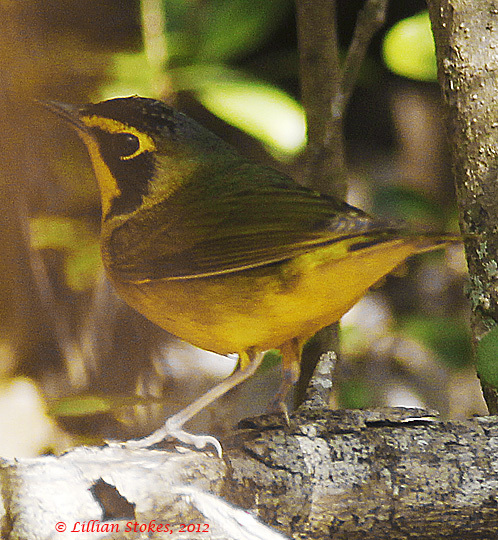 Such a dramatic coloring, with the bright yellow throat set off by the black. 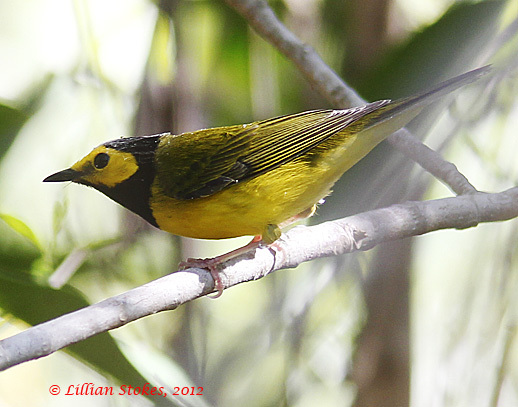 This Hooded Warbler, male, was seen yesterday. 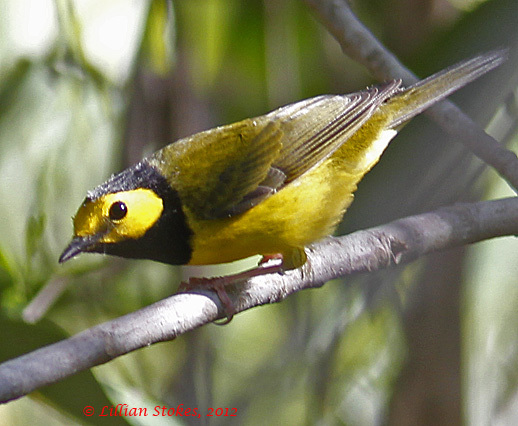 You can see why it's called a Hooded Warbler. This is again a species that lays low in the understory. At the lighthouse, very few warblers sing or even call, unlike by the time they reach the mid and northern sections of the country, when they are singing. 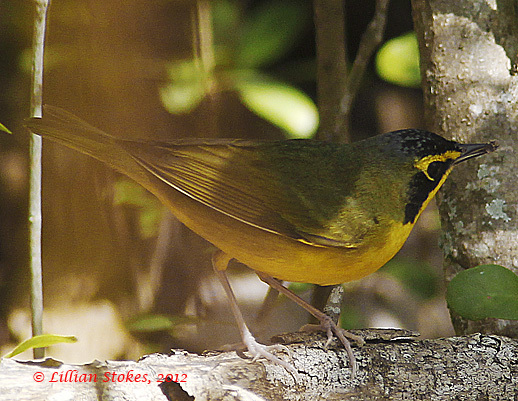 Hooded Warblers, however, can be located because they do give a call note, a metallic "chink." 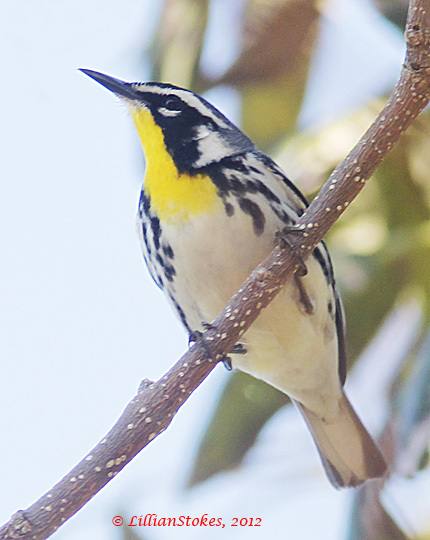 These warblers breed mainly in the more southern to mid areas of the eastern part of the country. Look for them soon. this Red-eyed Vireo enjoyed some fruits. 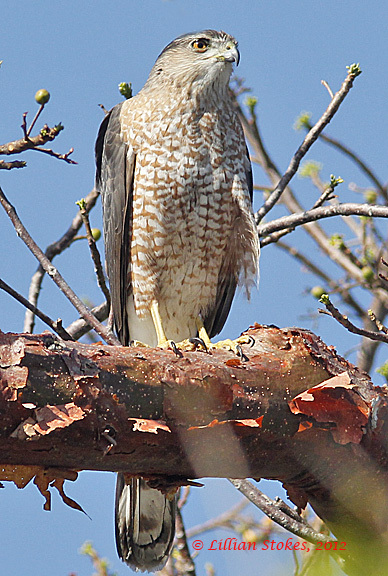 A Cooper's Hawk has to eat too. This one landed in a big fig tree, making the migrant songbirds lay low. 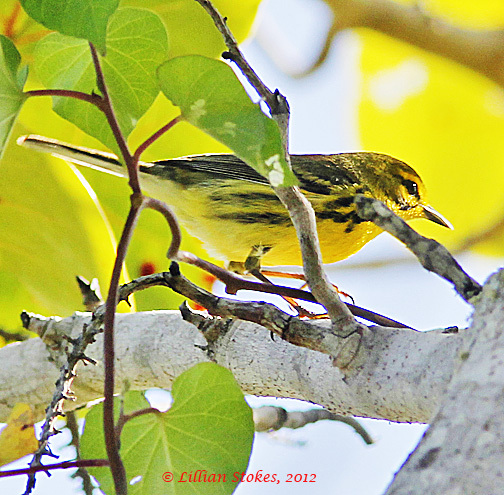 This Prairie Warbler quietly landed in the shade of a Sea Grape tree. We saw many other birds, including Blue Grosbeak, Hooded Warblers, many Indigo Buntings, Northern Parulas, Palm Warblers and the Blue-winged Warbler was still there. 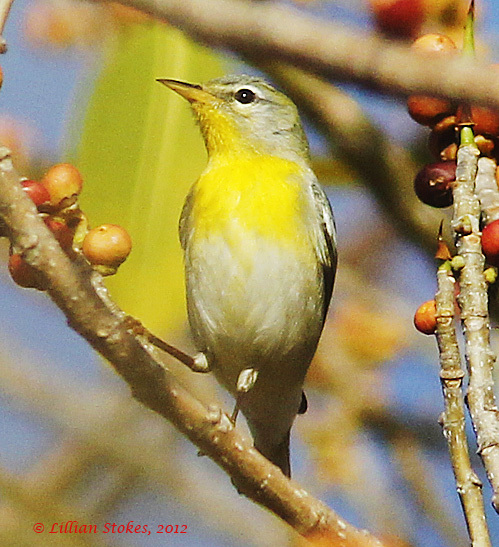 Saw this female Northern Parula migrant today at the Sanibel lighthouse park. She was in a native Strangler Fig tree with a few other Northern Parulas and Indigo Buntings and she and was eating the fig fruits. Great snacks for hungry migrants who have just crossed the Gulf of Mexico. This afternoon, after seeing all the swallows migrate in the morning, we returned to the Sanibel Island, FL lighthouse and more migrants had come in. We saw this wonderful Blue-winged Warbler in a bush. 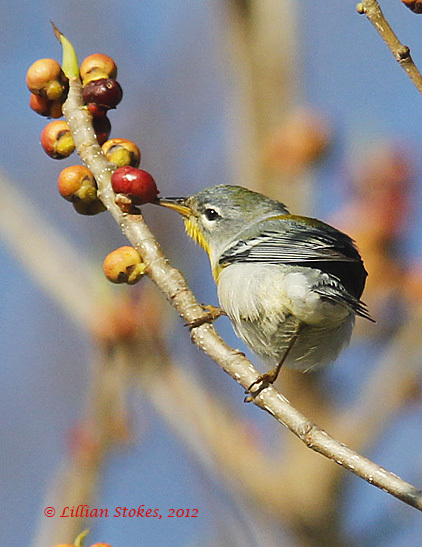 Then we saw this little Northern Parula Warbler who had been eating fruits from a Gumbo Limbo tree. There were also handfuls of Indigo Buntings and a few Palm Warblers. These birds had come in across the Gulf of Mexico and encountered the strong north wind shift. So they landed and sought shelter and food. Northerly winds expected tomorrow, more migrants possible. 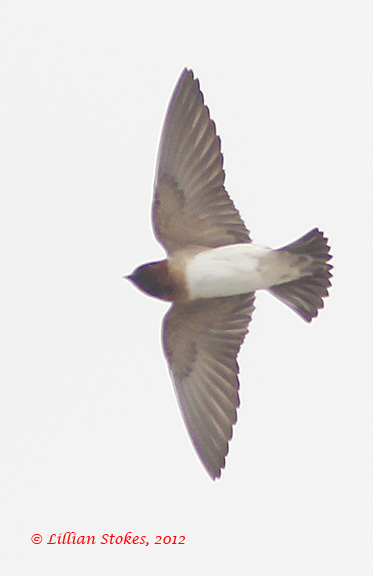 Just got back from the Sanibel Lighthouse where migrating Cliff, Barn and Northern Rough-winged Swallows were flying by. Strong WSW winds were keeping them low. I was lucky to get some photos even though it was tricky shooting conditions of cloudy skies, wind and they are erratic flyers. What beautiful birds!!! Migration conditions are improving and I look forward to seeing more neotropical migrants here in the next several days. I will keep posting photos and updating you, these birds will be headed your way! 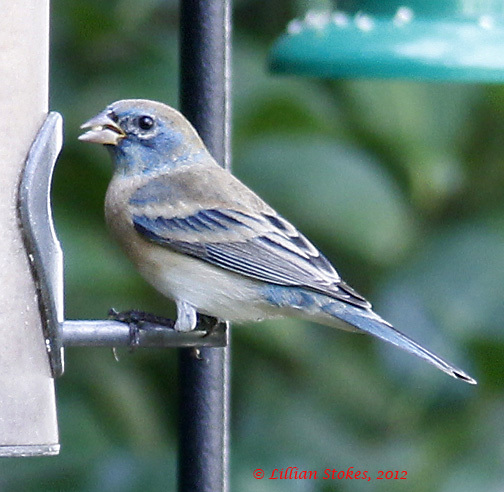 We just saw this Lazuli Bunting, 1st year male, at a feeder in Ft. Myers, Florida, where he is not supposed to be. Lazuli Buntings are usually a western species, but can sometimes be found out of their range, so be on the lookout. Lazuli Bunting males can look like this in their first year. They eventually will turn into the brilliant colors of the breeding adult male who has a turquoise head, back, wings, 2 white wing bars, orangish breast, and white below. Here's a link to a photo of an adult. Here's a back view, you can see the blue on his rump. 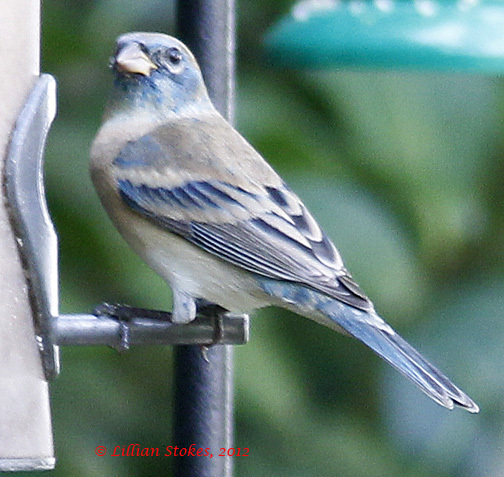 The blue is on his face, throat, wings, rump and tail, but not much on back and head and not much color on the breast. Even now, the wingbars are prominent, although dull. 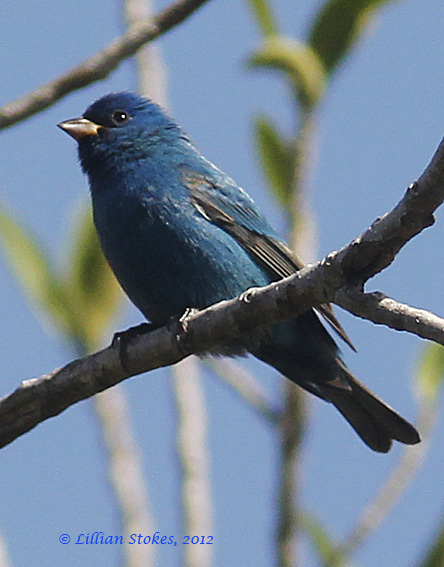 For comparison, here's a photo of a first year male Indigo Bunting, a species the Lazuli Bunting may be confused with. 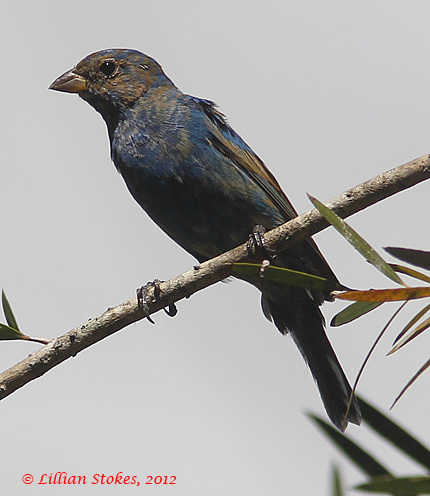 We saw this Indigo Bunting recently at a feeder in mid-Florida. 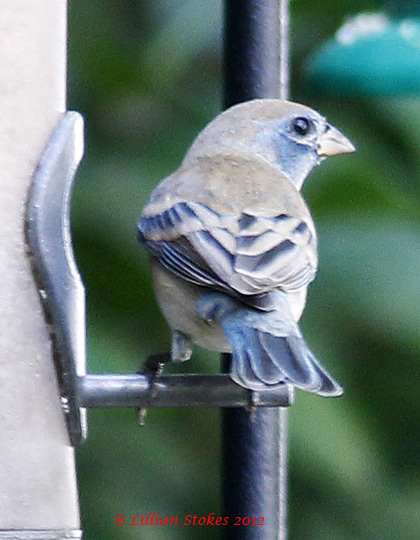 This one has much blue growing in over the breast and underparts. this beautiful adult male Indigo Bunting, who was at the same feeder, and who is brilliant blue all over. Female Lazuli Buntings and female Indigo Buntings are mainly brownish with a faint blue tint to rump and wing coverts, but the female Indigo Bunting has faint blurry streaking on breast and a more contrasting whitish throat. 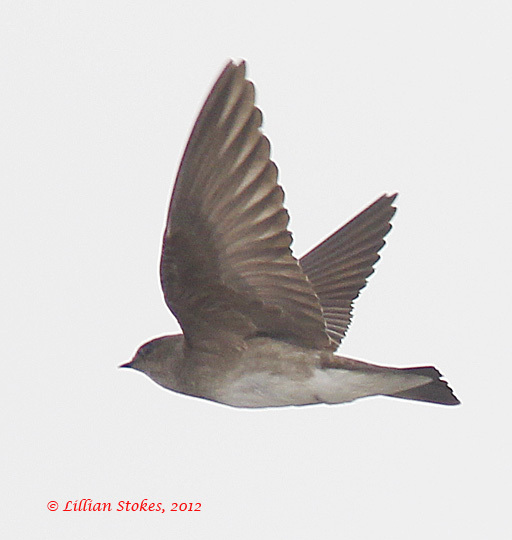 Even adult Indigos and Lazulis will have some brownish edges to feathers of their upperparts during non-breeding. 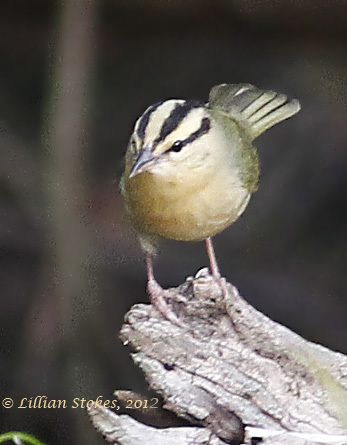 Buntings are fun and Florida is a great place to see them at feeders in winter. 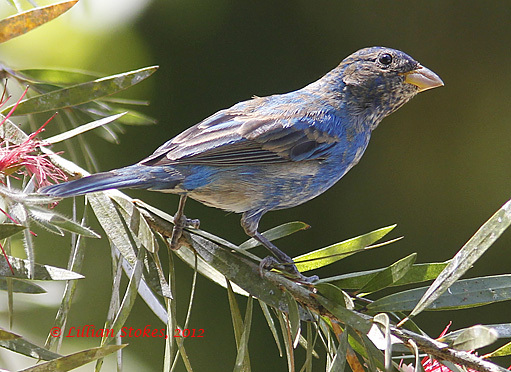 For more extensive information and photos of the plumages of Lazuli and Indigo Buntings see our new, The Stokes Field Guide to the Birds of North America.